And Hout Bay has rewarded them for their efforts so far. Nippon Sushi enjoyed quite a lot of foot traffic since opening in January. But it’s easy to see why: a generous 24-piece sushi platter with sashimi, roses and the works is just R188. 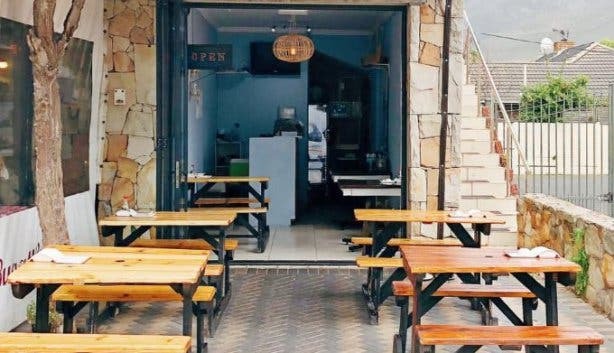 And then there’s a range of top-notch hot Asian dishes, from dim sum and R30 soups to stir-fry (R60–R80) and crispy tempuras with a bit of a bite. Born in South Africa and raised in China, Lei returned to Cape Town when she was in her teens and has a degree in Hospitality Management from CPUT. After working with establishments like the Table Bay Hotel and Crystal Towers Hotel, she set herself a goal to open her own restaurant someday. 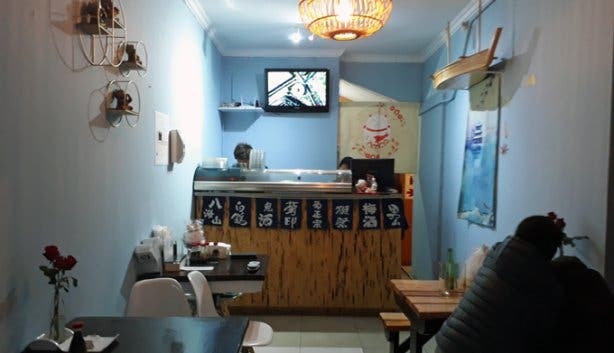 Zhenjie moved to South Africa in 2009 and has spent the past 10 years mastering his skill in crafting great sushi in various restaurants around the city. He met Lei five years ago, and Nippon became a shared dream. Nippon Sushi opened in January 2019 on Victoria Avenue in Hout Bay. It’s a modest space, tucked between the area’s large established Italian kitchen and a few business offices. But it is spotless, bright and cosy. White and pale-blue walls make Nippon’s interior seem more spacious, and there are a few outside tables with clear sheeting they can put up when it gets a bit chilly. But, of course, the really exciting bit is the excellent service and what’s on the menu. “Nippon” is the Chinese and Japanese name for the country of Japan – meaning “where the sun rises”. And the couple gave their love-story-space that name because they’re passionate about creating the freshest Japanese cuisine and sushi for their guests. 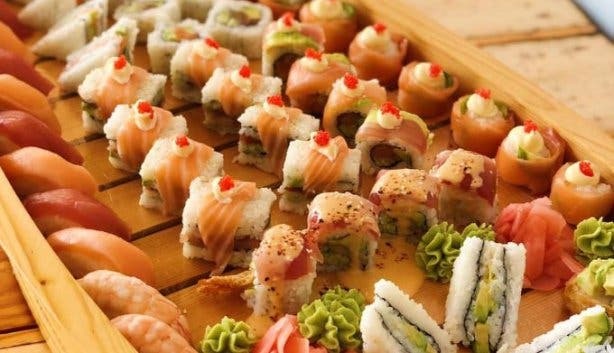 But sushi isn’t all they’ve got going – dim sum, Asian-style stir fry and fried rice and noodles feature on the menu too. Their most popular dishes are the samurai roll and the chicken cashew oyster stir fry, and Lei says they’re planning on introducing ramen to the menu soon too. 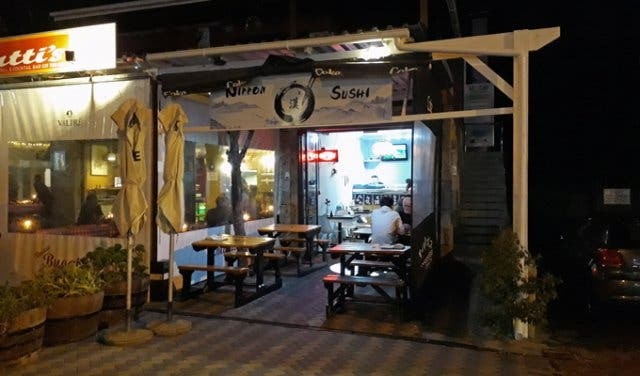 They have high hopes to open another Nippon Sushi in the future (maybe even closer to the city centre, or the suburbs… or both), but Lei says that since they’re still new and pretty small, they’re focusing on building things up in Hout Bay before venturing out. 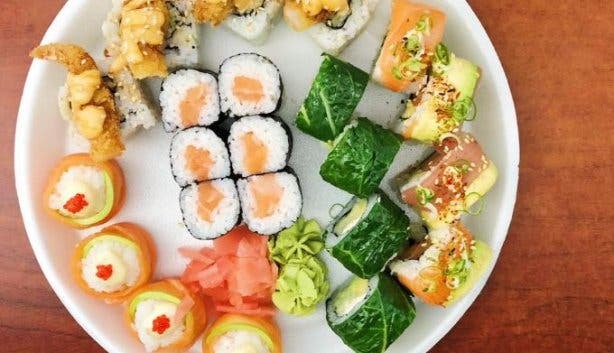 See the best of Cape Town’s sushi restaurants. Get sushi at a price you can afford at these low budget sushi places. Chow down on some chow mein at these Chinese restaurants.